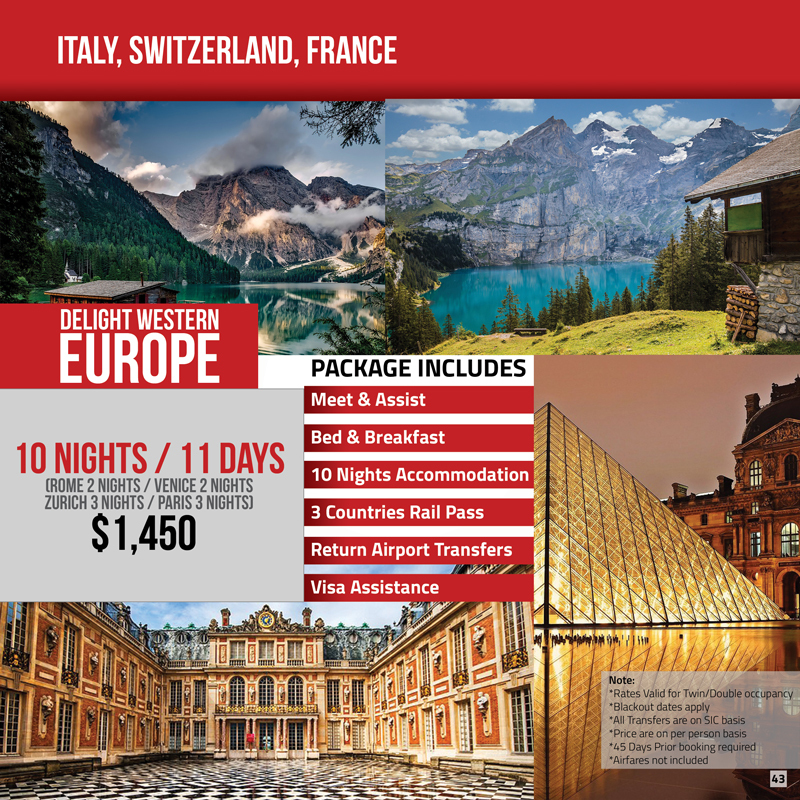 Italy, Switzerland and France tour package with 10 night accommodation and rail pass. Greece and France Tour Package Enjoy your trip with travelmate with 10 nights accommodations, Intercity ferry tickets, Hop on Hop off tour in Athens and Paris. Travel Mate All rights reserved.